The Central Florida Zoo & Botanical Gardens, a not-for-profit organization organized under the laws of the State of Florida, encourages the solicitation and acceptance of gifts to the Zoo for purposes that will help the Zoo to further and fulfill its mission. The following policies and guidelines govern acceptance of gifts made to the Zoo or for the benefit of any of its programs. The Central Florida Zoological Society Board of Directors and the staff solicit current and deferred gifts from individuals, corporations, and foundations to secure the future growth and mission of the Zoo. These policies and guidelines govern the acceptance of gifts by the Zoo and provide guidance to prospective donors and their advisors when making gifts to the Zoo. The provisions of these policies shall apply to all gifts received by the Zoo for any of its programs or services. All programs, trust agreements, contracts or commitments shall benefit the individual needs of the donor and the Zoo. Never shall a charitable gift be urged upon a donor, which shall benefit the Zoo at the expense of or adverse to the donor’s interest. A donor shall not be encouraged to make a gift which is inappropriate, in light of the donor’s personal or financial situation and shall be advised if a gift proposed by another party or parties is contrary to this policy. A donor may expect any representatives of the Zoo to reflect dignity and respect the charitable purposes of the gift. All solicitations for restricted or unrestricted donations or gifts will originate in the Development Office. Gifts may be accepted by the Zoo’s Board of Directors but may also be received by authorized staff. Unauthorized personnel are not to solicit specific gifts from donors for the Zoo or their specific departments. Gifts are generally believed to be unrestricted in nature unless the gift is made in response to a designated request or the donor requests specific restrictions. In the latter case, resource development staff will review the requested restrictions in advance of accepting the gift in order to determine its appropriateness. Once the gift is accepted the restrictions will be observed. Gifts will be recognized within the policies established for specific campaigns, such as annual giving, gift clubs, comprehensive capital campaign naming opportunities and others as determined by the board and staff. The negotiation and execution of planned giving plans shall only be conducted in coordination with the Chief Financial Officer and the Board’s Finance Committee, as needed. When property other than cash, listed securities, or securities traded over-the counter are involved, approval of the Finance committee and additional board direction shall be required. Information learned by any representative of the Zoo about a donor or the donor’s assets or philanthropic intentions shall be held in strict confidence. Donors will be encouraged to notify the Zoo of their planned gifts, including bequests, and all such information will be kept confidential unless written permission to release it is obtained from the donor or his or her counsel. All details related to gift negotiation are to be considered confidential by all parties involved. This shall include, but not be limited to the donor’s financial situation and philanthropic interests, as well as any tax or other legal matters discovered by our representatives while planning for a gift. All information concerning donors or prospective donors, including their names, the names of their beneficiaries, the amounts of gifts, size of estates, and any other personal or financial information will be kept strictly confidential, unless permission is obtained from the donor to release such information, or unless use of such information is required in the administration of the gift. Agency Data Base: Biographical and financial records stored in any computer data base will be treated as confidential information and will not be released or accessed without specific written approval of the CEO or designated officials in the Resource Development Office. Under no circumstances will data be released for the primary purpose of private enterprise or gain. All Freedom of Information Act regulations will be observed. The CFO shall seek the advice of the Zoo’s legal counsel in all matters regarding planned giving which involve any agreement, which is binding on the Zoo. All planned gift agreements provided to a donor by the Zoo will be created by or reviewed by legal counsel. Each prospective donor shall be urged to seek the advice of the independent legal counsel prior to the Zoo acting in any way as a party to a planned gift. They should be specifically encouraged to consult independent counsel on matters related to the tax implications of a gift and matters related to estate planning. A donor who chooses not to engage counsel must acknowledge this decision in a written statement addressed to the Zoo. It is neither the province of the Zoo nor its volunteer or staff representatives to give legal, accounting, tax, or other advice, which is usually reserved to the donor’s counsel, while acting on the Zoo’s behalf. This policy does not preclude any duly licensed person representing the Zoo from advising a donor or such donor’s counsel regarding a gift with appropriate disclosure to the donor that the professional involved is in the employ of the Zoo and is not acting on behalf of the donor. Any computations made by the Zoo volunteers or staff members are only estimates, since the Zoo may not be fully aware of the donor’s circumstances. The Zoo will comply with the “Model Standards of Practice for the Charitable Gift Planner” promulgated by the National Committee on Planned Giving. Any contributions made to the Zoo shall be allocated to the unrestricted general account unless otherwise restricted by the donor. Cash gifts are acceptable in any form. Gifts made by check are to be made out to the Central Florida Zoo & Botanical Gardens. Acceptance of a restricted gift imposes a legal obligation to comply with the terms established by the donor. Therefore, it is necessary that the nature and extent of this obligation be clearly understood. For this reason, the terms of each restricted gift will be reviewed with the utmost care to ensure that they do not hamper the usefulness and desirability of the gift. If a gift is deemed unacceptable because of the restrictions the donor has placed in its use, the donor will be counseled to remove or modify the restrictions. Gifts will be refused or returned when the purpose (1) is inappropriate or not conducive to the best interest of the Zoo, (2) or would obligate the Zoo to undertake responsibilities, financial or otherwise, which it may not be capable of meeting for the period required by the terms of the gift. Gifts and bequests may be restricted by a donor for use in any specific service area, and/or for any stated purpose or program. When a donor wishes to place a restriction upon the use of a gift or bequest for a specific program it is suggested that the legal instrument empower the Board of Directors, after a stated number of years, to re-evaluate the restriction. And, if the original purpose for which the gift was made is no longer relevant, to redesignate, after consultation with the appropriate professionals (Trust Department, Legal Advisor of both parties), the restriction to an alternate purpose. Pledges, commitments to give a specific dollar amount over a span of years, will be at least $1,000 and will be booked for accounting purposes. Written pledges, signed and dated by the donor, are required before a commitment can be officially recorded by the Zoo or counted in any fundraising totals. Oral annual fund pledges may also be counted in fund-raising totals for the board and will be documented at time of communication. Whenever possible, written pledges will include the payment schedule, matching gift information (if applicable), the purpose of the gift, wording which makes the commitment binding, the name of any fund, and any preferences/restrictions. Multi-year pledges: Multi-year pledges to the Zoo are accepted when the pledge of up to five years will entitle the donor to membership in one of the newly-formed recognized societies of donors ($1,000 or above each year the pledge is in force). Capital pledges: Capital pledges, whether for endowment or facilities, must meet a minimum threshold of $5,000 per year and are typically payable within five years. Exceptions: Exceptions to pledge minimums must be approved by the resource development office and the development committee. Acceptable Assets in Payment of Pledges – Pledges may be met by any of the assets acceptable for outright gifts, with the same constraints and review requirements. Gifts-in-kind (art objects, equipment, securities, real estate, etc.) should be reviewed with special care to ensure that acceptance will not involve financial commitments in excess of budgeted items or other obligations disproportionate to the usefulness of the gift. Consideration should be given to the cost of maintenance, cataloging, delivery, insurance, display, and any space requirements for use or storage. 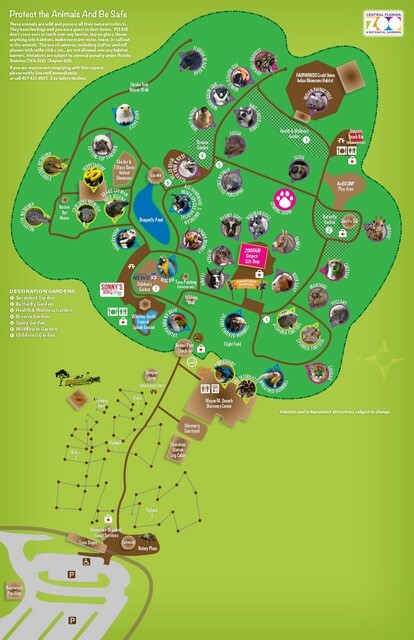 Does the property help to fulfill the mission of the Zoo? The Zoo will follow all IRS requirements in connection with disposing of gifts of tangible personal property and filing of appropriate tax reporting forms. When gifts-in-kind are given to the Zoo with the intent of the donor receiving a tax deduction, it shall be the responsibility of the donor, not the Zoo, to obtain an appraisal of the gift for tax purposes. The Zoo shall not become involved in the appraisal process. Direct involvement of the Zoo in securing appraisals could result in the appraisal’s accuracy and objectivity being challenged by the Internal Revenue Service. It is in the donor’s best interest that the Zoo neither provides directly nor be responsible for securing the services of appraisers in connection with gifts to the Zoo. A report of all prospective gifts-in-kind should be submitted to the Resource Development Office. Subsequently, all gifts-in-kind to the Zoo will be inventoried by the Zoo and will become property of the Zoo. Gifts of real estate may include developed property, undeveloped property, or gifts subject to a prior life interest. Prior to acceptance of real estate, the Zoo shall require an initial environmental review of the property to ensure that the property has no environmental damage. Environmental inspection forms are available for this purpose. In the event that the initial inspection reveals a potential problem, the Zoo shall retain a qualified inspection firm to conduct an environmental audit. The cost of the environmental audit shall be an expense of the donor. Title insurance shall be obtained by the Zoo prior to the acceptance of the real property gift. The cost of this insurance shall generally be an expense of the donor. Is the property useful for the purpose of the Zoo? Are there carrying costs, which may include insurance, property taxes, mortgages, or notes, etc. associated with the property? Establish the donor’s tax deduction. Give the Zoo’s accounting department and auditors a reasonable value at which to carry the asset on the Zoo’s books. Establish an asking price for the property. The donor will be asked to obtain and to pay for this appraisal. The appraisal must be acknowledged by the Zoo in writing and attached to the donor’s tax return. Unless the Zoo desires to retain the real estate for the Zoo’s use, the property will be listed with a broker or brokers in the area in which the property is located for sale at the appraised value. The Zoo should be willing to wait a reasonable period of time to receive an offer in this range. If, because of high taxes or a sizeable mortgage, the Zoo is unwilling to hold the property for a reasonable period and will be forced to cash out as quickly as possible, the prospective donor will be so informed. The Zoo is required by law to notify IRS of the resale price if the property is sold within two years. The Zoo will accept gifts of readily marketable securities. All readily marketable securities will be sold immediately or transferred to the Endowment, as appropriate and as determined by the Board of Directors. Stock controlled under Securities and Exchange Commission Rule 144 will be held until the restriction on sale expires and then will be immediately sold in the same manner as in above. Securities should be transferred in such manner that the donor and CEO sign specific documentation verifying specific date of the actual transfer. Donor’s tax deduction and the Zoo’s evaluation should be equated as the average between the “high” and “low” trade on the date of receipt of the securities. Gifts of closely held corporate stock will be carried on the Zoo’s books at $1.00, in the absence of financial information, which would enable determination of “book value”. Such securities will be carried at “book value” as long as audited financial statements are provided to the Zoo so that “book value” can be substantiated. Gifts of bonds, which require a “holding” period, will be accepted and cashed when the holding period has expired. Securities that are assessable or in any way could create a liability to the Zoo. Restrictions would prevent the Zoo from converting these securities to cash. Securities that generate undesirable tax consequences to the Zoo. Securities that, on investigation, have no apparent value. Exceptions to this policy may be made by Resource Development Committee of the Board of Directors. Gifts of tangible personal property to the Zoo should have a use related to the Zoo’s tax-exempt purpose. Other items of property will be accepted if they are useful and are easily sold. Gifts of jewelry, artwork, collections, equipment, and software may be accepted after approval by the Zoo CEO. Establishment of value is always the responsibility of the donor. If the item is not usable, but is marketable, a representative from the Development Office will inform the donor if it is their opinion that the value placed on the item by the donor cannot be realized by its sale. Other matters that will be taken into consideration by the Zoo before deciding on acceptance of gifts of personal property will be: transportation cost, storage cost, cost of selling, and maintenance and repairs. All wills, bequests or estate plan documents which provide funds or other assets for use of the Zoo must be made payable or transferable to the “Central Florida Zoological Society,” the approved corporate body to receive, manage, and disburse assets. Depending upon the size of unrestricted bequests, all such bequests will be added to the general endowment fund of the Zoo. All gifts received for restricted endowment purposes, when accepted, will be accepted only on the condition that, should the purpose for which the funds are provided cease to exist, the Zoo Board shall allocate the income from those funds to purposes as near as possible to the original intent of the donor. Such provisions should be provided in all wills and devises as far as possible. The Zoo should refuse to accept (disclaim) any bequest that might prove to be more of a cost than a benefit. The Zoo will pay annuity rates as currently suggested by the American Council on Gift Annuities. There shall be no more than two beneficiaries for a charitable gift annuity. The minimum gift accepted to establish a charitable gift annuity is $50,000. No income beneficiary for a charitable gift annuity shall be younger than 50 years of age. There will be no more than two beneficiaries for a deferred gift annuity. The minimum gift accepted to establish a deferred gift annuity is $50,000. No income beneficiary for a deferred gift annuity shall be younger than 40 years of age. The fixed percentage to be paid shall be as suggested by the American Council on Gift Annuities. No Charitable Remainder Annuity Trusts or Unitrusts shall be entered into for a sum of less than $50,000. The fixed dollar amount to be paid annually shall be no less than the minimum required by law of the net fair market value of the assets transferred. Beneficiaries of CRTs shall be 50 years of age or older. Charitable Lead Trusts. The Zoo may accept a designation as income beneficiary of a charitable lead trust. The Board of Directors will not accept an appointment as Trustee of a charitable lead trust. Payments to donors and beneficiaries on charitable remainder unitrusts, charitable remainder annuity trusts, and gift annuities shall be made quarterly, semi-annually or annually according to the terms of the individual agreement. Upon the death of the surviving beneficiary of a deferred gift agreement, the agreement shall terminate and the assets and any accruals shall be paid to the Zoo for the endowment fund. Deferred Gift Trusts, Unitrusts, Annuity Trust and other forms of deferred gift contracts in which the Zoo is a Trustee shall be administered by the Resource Development Office and Board of Directors of the Zoo. Each Trust will be under a separate trust agreement. The investment of trust funds will be fully consistent with the objective of each trust, and in keeping with the legal requirements for the investment of such funds. When all requirements of a trust agreement have been met and the trust is terminated, the assets of the trust will then be placed in the appropriate Zoo Asset Management Account. The Zoo should accept a life insurance policy as a gift only when it is named as the owner and beneficiary of the policy and there are sufficient funds available to pay premiums. The Zoo may be designated as beneficiary of a life insurance policy. Commitments provided by bequest, estate plan, or other planned gift program deferred gift vehicles should be counted as expectancies when they are to “mature” at some future time. In many cases donors and potential donors may change, increase, or decrease their commitment depending upon how they are treated by the leadership of the organization as “future interest” donors. Eventual income from such commitments must never be counted in current/annual fund income amounts, but, rather, counted “below the line” as with gift-in-kind, investment income, property sale, and other income reports at their maturity value. Many organizations apply such income directly to endowment or use the income for urgent, non-budgeted but vital purposes. The maturity of expectancies must be counted in the full amount of the expectancy in terms of financial impact for the organization and for donor philanthropic credit. Such expectancy value must be evaluated annually. All decisions to solicit and/or accept potentially controversial gifts are to be made by the Resource Development Committee with the Board of Directors. If it is recognized that the Zoo cannot generally ascertain whether the value of the gift was generated using commonly accepted ethical and moral standards. Furthermore, the Zoo asserts that its primary responsibility is to use any gifts to further the organization’s mission, goals and objectives. Accordingly, the source of the gift will, in and of itself, not be the basis for not soliciting a gift. Rather, the primary consideration will be the impact of the gift upon the organization. Core values: Will accepting the gift compromise any core values of the organization? Compatibility of Cause: Is there convergence of cause and intent between the donor and recipient? Will accepting the gift further the mission, goals and/or objectives of both groups? Public Relations: Will the perception of clientele’s importance to the organization be damaged so as to create a significant public relations policy for the organization? Motivation: Is there clear charitable intent and a commitment to serve the community? It is understood that it is usually appropriate for there to be tax incentives, community acceptance and publicity values for donor. Consistency: Will acceptance of the gift be inconsistent with other fundraising activities and/or gifts? Credibility: Will the reputation of the donor have a negative effect upon the reputation of the receiving organization? Organizational Stability: If controversy develops, will it likely be significant enough to undermine the stability of the organization? Will there be a sufficient reservoir of community image and goodwill to allow the organization to continue to thrive? Form of Gift: Will the nature of the in-kind contribution create problems, such as advertising or sponsorship? Source of Gift: Is the gift from an individual or a corporation? A gift of stock from an individual might be accepted and sold, while a cash gift or sponsorship might be rejected. Bottom Line: Will the gift encourage or discourage others to give? What will be the net effect on the bottom line? Upon receipt of a gift and/or any gift related documents, the Development Office will record gift and acknowledge donor. A complete record of every individual donor’s contributions will be maintained. Restricted gifts will be recorded by the use of fund codes. Once a gift is accepted a written acknowledgment of the gift will be mailed within 48 hours. Written acknowledgments are to be in full compliance with Internal Revenue Service regulations. These policies and guidelines have been reviewed and accepted by the Board of Directors of the Central Florida Zoological Society, Inc. The Board of Directors of the Zoo must approve any changes to, or deviations from, these policies. Approved on the August 16, 2012. Contributions are tax deductible to the extent allowed by law. We strive to keep fundraising and administrative costs to a minimum, so that more of the contributions we receive can go directly to program support. Information on the Central Florida Zoological Society, Inc.’s most recently completed fiscal years, which run from July 1 through June 30, are provided below.